If there is a place on earth that personifies the term ‘winter wonderland’, it would be the tucked-away northern American state of Alaska. Seemingly untouched by time and civilization, Alaskan landscape comprises of endless countryside, sprawling forests with abundant wildlife, stunning glaciers and a coastline that is one of the most enthralling waterways in the world. For those of us who have only ever heard and seen glaciers in movies and pictures, there is no camera grand enough to do justice to the sheer majesty of a glacier, and Alaska boasts its own Glacier Bay National Park! Alaska is best explored on a cruise and there is a wide choice of cruiseliners that cruise in Alaska from May to September every year. Cruises operate in either direction – Northbound from Vancouver or Seattle or Southbound from Anchorage. There are also Alaska cruises that sail round trip from Vancouver or Seattle. A typical week long Alaska cruise will take you to the Inside Passage, an endless stretch of water underneath the icy Blue Mountains and sky, with isolated communities nestling in the shore side villages and the massive glaciers that will thoroughly enrapture you. Ketchikan, another popular town near the Misty Fjords National Monument is famous for the Clover Pass Bike Ride, the Bear watching and inarguably the best salmon fishing in the entirety of North America. Alaska’s capital and third-largest city, Juneau, is where you can go sea kayaking while viewing the glaciers, go for a tram ride at Mt. Robert’s Tramway, indulge in Glacier dog sledding and explore the contrasts of the city. Another place that you will absolutely fall in love with is Sitka, with its perfect blend of Russian and American culture and excursions of Ocean Rafting, as well as old school country hiking. If you want to experience this winter wonderland on a cruise, do not worry, because a number of cruiseliners are ready with world class ships with a range of itineraries cruising the Alaskan coastline. This blog will give you all the information you need to know about the ships that offer the best Alaska cruises this summer. 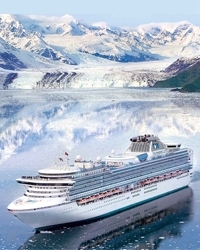 Royal Princess: Visit the Alaskan glaciers on the Princess Cruises’ majestic Royal Princess. The six to nine day cruise trip departs from Vancouver, Canada and takes you to the Alaskan favourite destinations of College Fjord, Glacier Bay National Park, Juneau, Ketchikan and Skagway over nine days. Dubbed as the ‘Voyage of the Glaciers’, this cruise gives you nothing short of an actual royal experience - think of it as a royal excursion to the Alaskan wonderland. 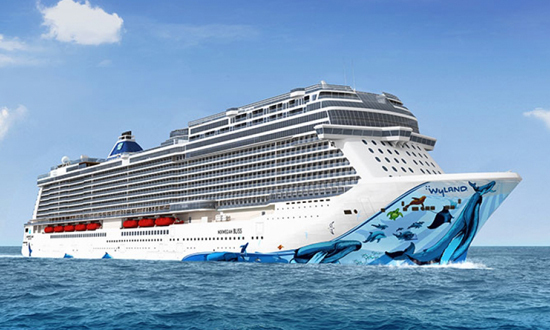 Norwegian Bliss: Fresh off its debut in May 2018, Norwegian Bliss is now ready to embark to the Last Frontier with all its majesty and might. Beginning from Seattle, Washington, the itinerary is fairly classic, touring Juneau, Ketchikan, Skagway and British Columbia. What is not classic however, is the scale of luxury and amenities or, so to speak, the Bliss (pun intended) that the cruise offers you. From eagles soaring over the tranquil waters, to dolphins breaching the surface time and again, Norwegian Bliss offers you the best view to see the same from its custom built observation deck. 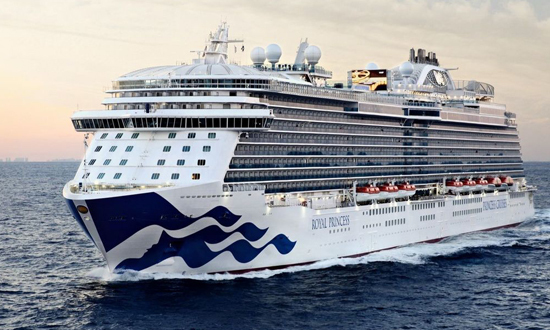 Also to be found here is the largest race track at sea, a blockbuster musical night with the Jersey Boys, and some of the most luxurious staterooms ever to be found, with their own 24 hour butler service! Although there is absolutely no shortage of exquisite dining options, a special mention goes to Q Texas Smokehouse that brings you a piece of Texas BBQs in the Alaskan waters. The cruise trips begin from May with 6-9 day itineraries. 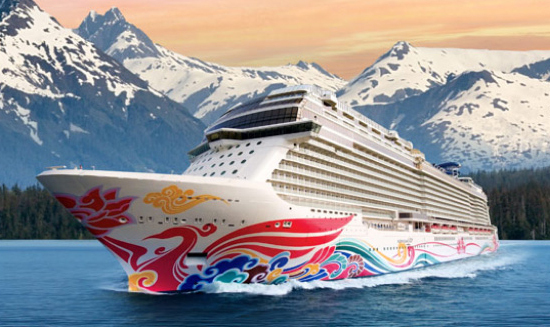 Norwegian Joy: The Norwegian Class offers not one, but two of its most splendid ships for Voyaging into Alaska, with the Norwegian Joy beginning voyages into Alaska from April 2019. The seven day cruises from Seattle will let you enjoy the serenity of Alaska by visiting the primary locations of Juneau, Skagway and Victoria in British Columbia. Glide through the Glacier Bay while racing on a world class two level race track and see mystical pods of whales in the Icy Straight Point with accommodation in the most luxurious staterooms with 24 hour concierge service. The place that has made the Norwegian Joy perhaps the most envied cruise ship is the Galaxy Pavilion, a virtual word contraption that will thoroughly enrapture you with its virtual reality experiences, interactive video walls, and mind-blowing simulator rides. There are enough dining options to satisfy every palate, even if you were to explore a different cuisine in every meal. With Specialty Dining at Cagney's Steakhouse, exotic Italian food at La Cuisina as well multiple Bars and Lounges, each with their own personality and appeal. To sum it up, cruising the Last Frontier on this ship will be just what the name of the ship claims, sheer, unadulterated Joy! Radiance of the Seas: Royal Caribbean’s Radiance of the Seas was specifically designed for ‘edge-of-the-map explorations’ with the most glass exteriors out of any Royal Caribbean ship. There can be no ship better for gazing at the snow-capped Alaskan mountains or whale watching than the Radiance, with giant floor length glass windows in almost every stateroom and sea-facing glass elevators that will blur the lines between you and the endless ocean. For people travelling with families, the number of indoor and outdoor activities on the Radiance is endless. The Royal Caribbean Arcade with the gaming consoles, outdoor movie nights by the poolside, sushi and cupcake making classes for the little tots as well as a whole live orchestra on-deck to lighten up your nights. There is also an all adult relaxation pool, golf club, as well an array of restaurants, bars and places to make the most out of the Alaskan landscape on the ship. Accommodating 2,112 passengers, it has a mostly perfect blend of couples, singles as well as young families on board. 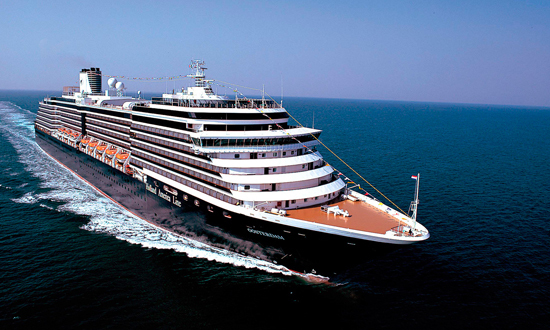 MS Oosterdam : Beginning from the end of May all the way to the end of 2019, Ms Oosterdam has a consistent line up of tempting week-long cruises to Alaska from Seattle. Ms Oosterdam is Holland America Line’s prized offering for an Alaskan cruise with their trademark global cuisine offerings coupled with superb service following suit here as well. The ‘Emerald City’ of Seattle itself is a major tourist favourite with its Space Needle towering over the snow-capped mountains in the distance. Further, you get a chance to explore Sitka, Juneau, Ketchikan, glacier gazing at Hubbard and the beautiful Victoria in British Columbia before getting back to base. The night life on the ship has been lightened up all the more by the addition of Music Walk - a hub of music and entertainment that is constantly graced by the stars of the music and entertainment industry. Celebrity Solstice: Perhaps the most decorated of the Celebrity Class ships, Celebrity Solstice is the most stylish of any ships on this list, and if you want to spend your Alaskan holiday in total panache and luxury, look no further. The Lawn Club is what the ship is the most lauded about, and rightly so, but you can also pamper yourself abundantly at the Canyon Ranch Spa Club with its legendary Spa experience, while the fitness freaks can find themselves a home at the multiple fitness centres. Also, those vary of over-indulging in food, Solstice promises you mouth-watering but equally healthy and safe food options as well! Your tour to Alaska will be brightened all the more by Solstice’s uber comfortable staterooms designed with wider doors, and the effort to place comfort over everything else. 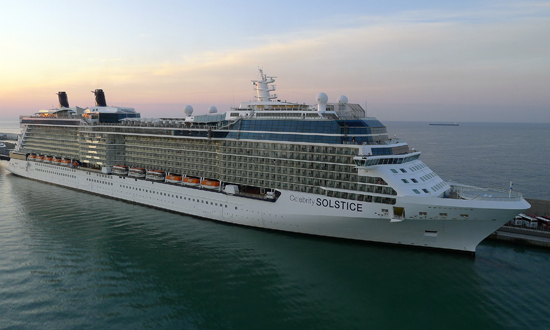 Also, Solstice is an Autism and Disability friendly vessel, so do not that let deter you for a second from this holiday of a lifetime. A particular Solstice offering is the Alaska Inside Passage, where, you’ll sail beyond the inside passage cruise into a labyrinth of fjords and bays to find the summer haunt of whales and sea lions. 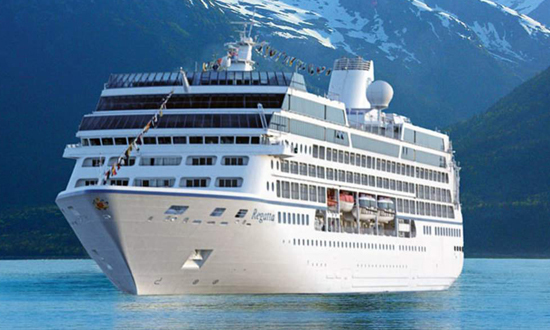 Regatta: The Seven day Stunning Scenery cruise from Oceania Cruises’ Regatta will truly and absolutely stun you, for its combines the raw majesty of the Alaskan wilderness with comfort and luxury of the Regatta. Whether you want to sip vintage wine in the comfort of your rooms, or immerse yourself in a book in Regatta’s library, or even have a game of golf, all of it awaits you at the drop of a hat. 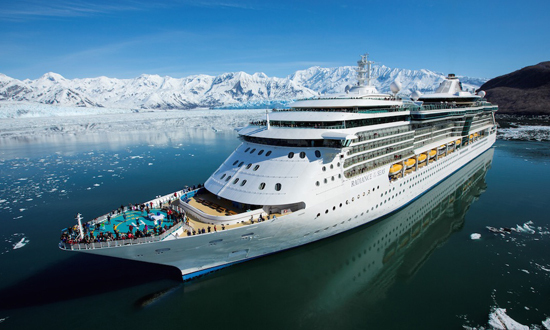 The 700-odd passenger ship is less crowded than the other mega-ships travelling Alaska and is more preferred by couples and discerning travellers. A major pride is the Grand Dining Room, something straight out of a faraway palace in Europe, as well as the quintessential French dishes by Jacques Pépin, in the Bistro. For those wanting to have a bite while gazing at the endless ocean there is the Terrace Cafe and Waves Grill, both informal and all-day long eating joints. Their itineraries are slightly different from the usual favourite spots, giving you the opportunity to discover less visited ports and explore nature in a wholly different manner. 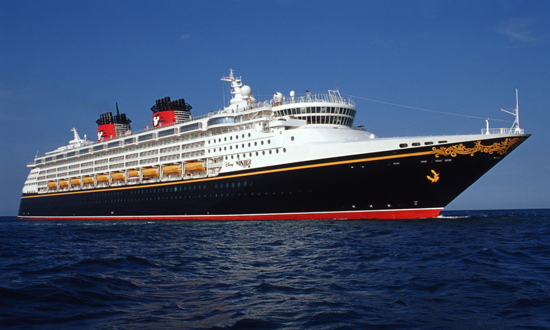 Disney Wonder: As with every other place called Disney, this ship too is going to be a Wonderland for families with kids. Think of it as a DisneyLand in the middle of the ocean, only a DisneyLand that is yours to explore for the entire week! The ship might house over 1,700 passengers but it will rarely ever feel crowded, with the sheer number of options available for everyone. For the little ones, there is a Marvel Super Hero Academy, a Broadway style musical of Frozen, Bibbidi Bobbidi Boutique- a makeover heaven for all the little knights and princesses as well as Tiana’s Palace, a unique musical restaurant based on Disney’s The Princess and the Frog. Explore the rugged mountainside from staterooms exquisite enough to be cut out of a Disney tale themselves, ranging from the most spacious Concierge, the Verandah, the Oceanview and the Inside Rooms. For the adults, there are plenty of other Boradway level musicals, adult-exclusive hotspots and multiple Spas and Salons to indulge in a bit of self-pampering. The best part of your trip will undoubtedly be the visit to the Hubbard Glacier, the largest claving glacier in North America, a mammoth 600 foot tall and 76 mile long ice structure surrounded by a sky painted in shades of pink and red with seals gazing lazily at the shores. Silver Muse: A seven day cruise on the Silver Muse is akin to seven days spent in intimate, spacious and soothing ultra-luxury on the most beautiful waters. Whether its river rafting on the Chikat River or journeying through the mesmerizing gulf of Alaska, the Silver Muse will be a provide every luxury for you at the drop of a hat. 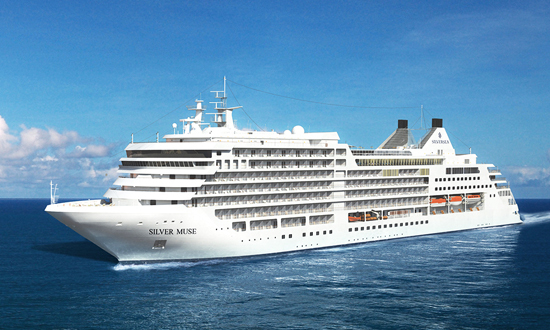 Silver Muse boasts a small-ship intimacy with luxury travel grandeur, with over 85% suites having private verandas, round the clock butler service and even complimentary transportation into town on most ports. While on the ship, Silver Muse has its own Casino as well as the enchanting Observation Library set at the very top of the ship. Also a favourite haunt of the passengers is the Zagara Beauty Spa and the sophisticated and amicable Panorama Lounge for socializing with your fellow passengers. While there are eight wonderful fine dining restaurants, each better than the other, The Grill is an absolute favourite, where you can bake your own food at each table in the evenings in an oven sourced from a Volcanic rock that reaches the temperature of 400 degrees! Alaska is not a place that can be ticked off along with a number of other destinations, as is the norm with many other tourist destinations. Visiting the Last Frontier is an experience worthy of the time it takes, to go deeper north and further away from the speed and monotony of city-life. Experience, as time draws to a stand-still amidst the tranquillity of the white mountains, with painted skies, sea gulls and glaciers all around you. And to make it all the more unforgettable are our cruiseliners, ready to take you to places seemingly untouched by time, while equipping you with every luxury that can be provided. Do no miss out on this, it’s an opportunity for a lifetime!